I’m on Day Nine of a ten-day vacation, and it has been relaxing as well as productive. 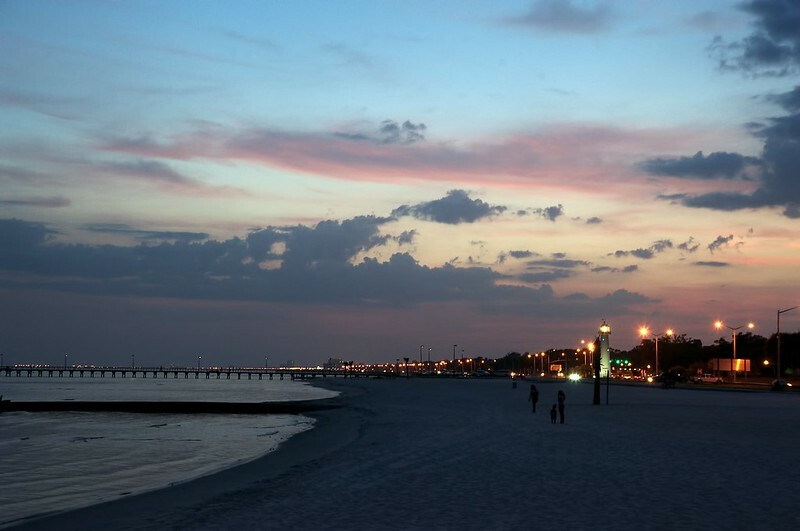 Hubby and I traveled down to the Mississippi Gulf Coast for a four-day stay at the Beau Rivage Resort and Casino in Biloxi. We’re not big gamblers at all, but we do enjoy the nice facilities that the casino/resorts offer. We enjoyed some time at the pool, got plenty of reading done, and then spent one day on a side trip to New Orleans by way of scenic highway US 90. Just before we left on our trip, I made one last-ditch attempt to recover some of my old photo images from a dead Western Digital external hard drive. I Googled the error message I was getting from the hard drive, and found a forum where someone offered a suggestion to another user with the same problem. His suggestion was to use “chkdsk /F /R /X H:” where H: is the drive letter. I did just that, and about eight hours later, I was rewarded with 81GB of recovered files which I then copied to my computer hard drive. While we were relaxing by the pool, I put together a new plan for both backups and archives of my image files. I already have backups running daily on Mozy, and I was doing periodic backups to two external Western Digital hard drives connected to my computer (alternating them), using the WD backup software. But the glaring problem is this–when files are accidentally deleted from your hard drive, they also get deleted from Mozy and the hard drives after 30 days if you don’t catch it before then. I wanted an archive solution that would allow me to move my old files off my hard drive, leaving less for Mozy and WD to backup each day, but also having my old files accessible if I need them. So I bought two more 1TB external drives. I also bought 100GB of space on Google Drive for $1.99/month (I already had 25 free). Then I spent this morning cleaning up my pre-2014 files–I deleted JPG’s where I also had raw files, I deleted TIFF files that I had created in Photomatix for HDR’s which had already been converted to JPG, and I deleted photos of random stuff where I testing lenses, etc. Then I copied all this old data, over 18,000 files from 1999-2013, to Google Drive and to both external drives. One of the external drives has been locked away in the safe in the workshop while the other is here in my office. Once a month I’ll archive new stuff to all three drives, and will check the two physical drives to make sure they’re still sound. In the meantime, my backup system will be taking care of the current stuff that’s still on my hard drive. After I finished that task, I then set to calibrating my monitor. I purchased a Spyder4 Pro from DataColor after reading numerous online reviews. I found it pretty easy to use, and once the calibration process was complete it presented a screen where you could toggle back and forth between the pre/post calibration settings so you could see the difference in the images on the display. And the difference was amazing! I’m hoping that the images that I have printed now will more closely match what I’m seeing on the display, because in the past I’ve been sorely disappointed in my print results. Oh, and did I mention that I also downloaded the latest version of Paintshop Pro X7? It’s awesome! After all that, I finally got around to looking at the photos that I took while we were on the Coast last week. I’m excited to get started processing these shots. Some will be HDR’s and some are single images. I did a lot of experimenting with different settings while I was shooting, as I’m trying to learn to control some of the exposure issues that I’ve had in the past from just relying on the camera automation and dumb luck. So here’s the first one that I processed today. This is an image from the beach in Biloxi near the Beau Rivage, taken at sunset. You can see the lighthouse in the background. I shot this hand-held at ISO 4000, something I’ve avoided in the past. I used Paintshop Pro X7 to adjust Levels and Curves, Topaz DeNoise to clean it up, and then back to PSP for some sharpening. I really like the way it came out. Be sure to click through on the image to view it large on Flickr. Stay tuned for more! This entry was posted in Processing, Workflow and tagged beach, Biloxi, D700, Gulf Coast, lighthouse, Mississippi, Paint Shop Pro, photography, sunset, Topaz. Bookmark the permalink.